Ryan grew up in Croydon and studied Business Studies & Marketing at John Ruskin College before starting work within the sales department of a tiling retailer and distributor. Ryan went on to become the Sales Office Manager before joining Beresford Residential in 2014. Ryan quickly proved himself and has an ability to form strong professional relationships. With the growth of the company, Ryan accepted the challenge of moving to our new Streatham office in June 2014. 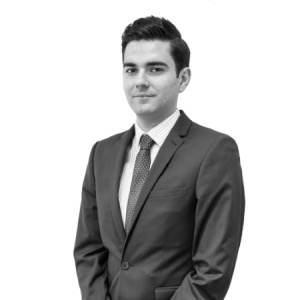 Thanks to his outstanding sales performance and continued commitment to his clients, Ryan progressed to Assistant Branch Manager in the Brixton office in June 2015 and took over as the Branch Manager in April 2016. As a landlord himself, Ryan has first-hand experience to draw upon and can advise you of your rights and responsibilities as a landlord. In addition, Ryan completed his NFOPP Technical Award in Residential Letting and Property Management in 2016 and is also currently studying towards the NFOPP Technical Award in Residential Sales. “I put my flat on the market with Beresford Residential after seeing a leaflet at a friends house. Joe gave me a realistic valuation and very quickly arranged viewings. Ryan handled all the viewings and always let me know when he was going to show someone around. I secured very near the asking price within 3 weeks of going on sale. When the property was hugely undervalued by the surveyor, both Ryan and Joe proved just how professional they were and although I had to drop the agreed price a little bit, the sale proceeded. My buyer's solicitors were atrocious and Joe was just amazing, battling every inch of the way to get to the finish line, my solicitor also spoke very highly of him! Beresford Residential on Mitcham Lane is an excellent office and I have recommended them to other potential sellers in my block and I'll recommend to anyone else selling in the area." "Ryan contacted me about letting my flat via Beresford Residential. I was very impressed with his enthusiastic, professional manner and the offer put to me. Within 24 hours he had 10 prospective tenants shown round my flat and offers made that very night. Just 3 days later my new tenant moved in. He did an excellent job and I will be using Beresford’s in the future after the excellent handling of my flat at every level. I have never encountered this kind of service from an estate agent. Thanks Ryan!"